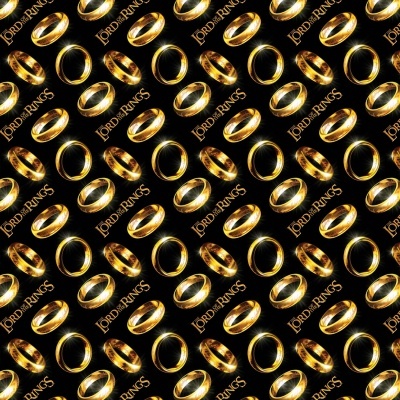 Lord Of The Rings digital design rings on a black background, from the Camelot Lord Of The Rings cotton collection. 100% cotton. 110cm / 44'' Width, approx 150gsm. Multiples of a size will be cut as one piece unless requested otherwise. I prefer to pre-wash fabrics and I was expecting this dark fabric to run. The colour catcher was still white. Good quality cotton and printing.